People are just watching, no protests. 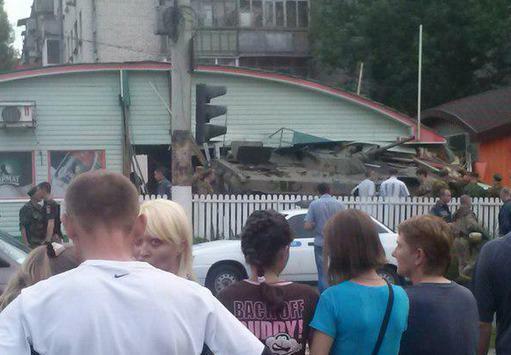 Return to Pro-Russian rebels APC smashed a cafe in Lugansk. 4 people got killed.